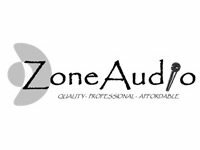 Our main business is providing high quality PA hire at affordable prices. We use some of the biggest branded products in the industry, including Martin Audio, Crown, RCF, DBX, Soundcraft, Yamaha, Beyerdynamic and Shure to name a few. We can cater for events for just a few people, right up to several thousand. Unlike many other small PA companies, we own almost all of the equipment needed to do most jobs. This means we can offer you a quality professional service at an affordable price.